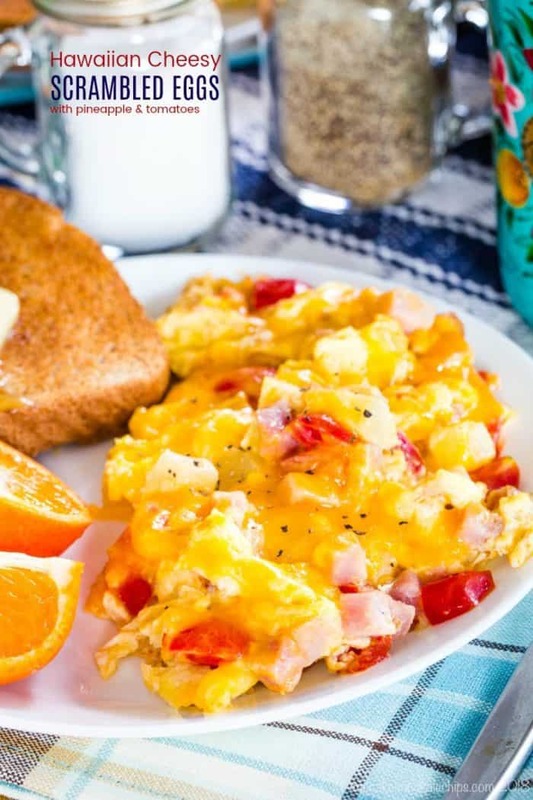 Hawaiian Scrambled Eggs are super fluffy scrambled eggs with cheese, ham, pineapple, and tomatoes. This scrambled eggs recipe is made without milk for the best scrambled eggs you'll ever taste! 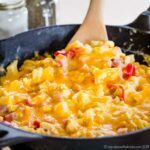 Hawaiian Scrambled Eggs are super fluffy scrambled eggs with cheese, ham, pineapple, and tomatoes. This scrambled eggs recipe is made without milk – read on to find out why! These are the best scrambled eggs you will ever eat and one of my favorite quick and easy dinner recipes (well, breakfast for dinner)! Several weeks back, I shared with you the awesome Sesame Noodles from Katie Workman’s The Mom 100 Cookbook. This week, my blogging friends and I team up with Katie to bring you some quick and easy back-to-school recipes. I haven’t had to deal with the real back-to-school craziness as a parent. But even with a toddler, I am definitely in need of quick, easy-to-prepare meals. And, The Bug will actually be starting pre-school in September. So I am excited to see some of the great lunch and snack ideas that are cooked up from Katie’s awesome book since I will now be packing a lunch for him a few days a week. 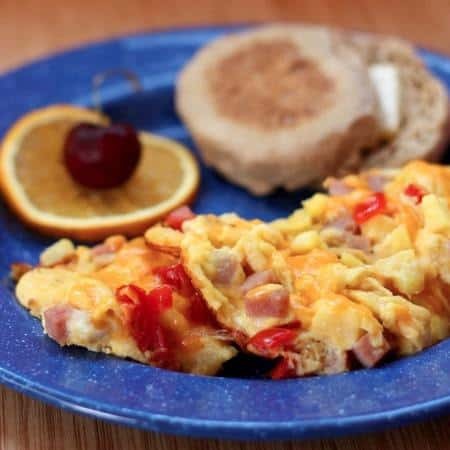 What is the best scrambled eggs recipe? 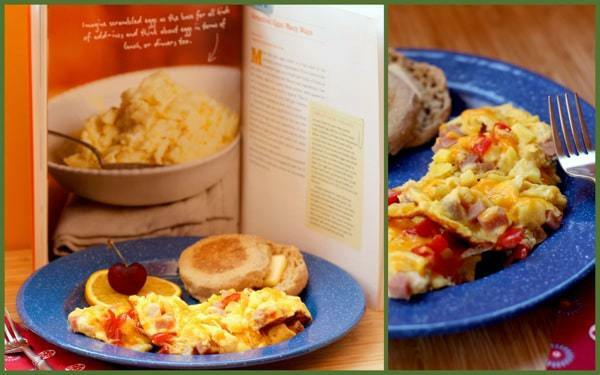 When I saw that Katie’s Scrambled Eggs recipe was one of the recipes we could choose from, and I started looking at some of her suggestions for mix-ins, I thought this would be a perfect way to reinterpret one of our favorite breakfast-for-dinner recipes. You see, I am not really into eggs for breakfast. But omelets for dinner is a totally different story. Easy, healthy, versatile, cheap, lots of protein – what could be better?! Except now, I have to make omelets for three, and I cannot work three pans at once (plus keep the toaster toasting). I hate for someone to end up with a cold dinner. 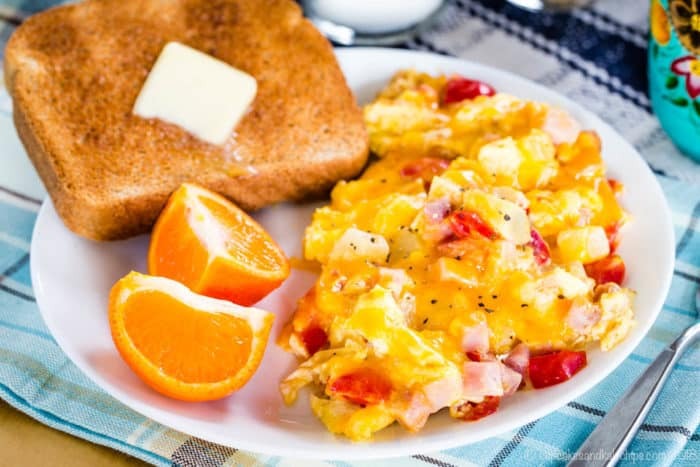 The solution – fluffy scrambled eggs with cheese, pineapple, ham, and tomatoes! Just scramble everything up together in one pan and in a few minutes, dinner is ready! Now I know some of you are going to think this is the weirdest combination ever for an egg dish. But seriously, trust me on this one. Actually, trust The Hubby. I was skeptical when he first told me about his favorite omelet combination – ham, tomatoes, pineapple, and cheddar cheese. Back in his bachelor days, he used to spend every Sunday of the football season with his buddy. The day started with omelets, then moved on to alternating between NFL games on TV and drinking beer in the hot tub. This is the omelet he made. His friend thought he was insane too. But then again, his friend is the one who considers french fries a vegetable and wine a fruit. Being much more open to foods that grow on plants and trees, I figured I might as well give it a try. I mean, I like Hawaiian Pizza – you know, the ubiquitous combination of tomato sauce, cheese, ham, and pineapple. So why would this not work in an omelet? 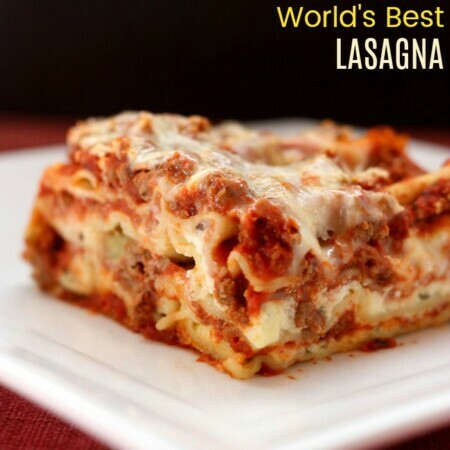 Well, since I first tried it, it has been a staple for when we need a quick weeknight meal. 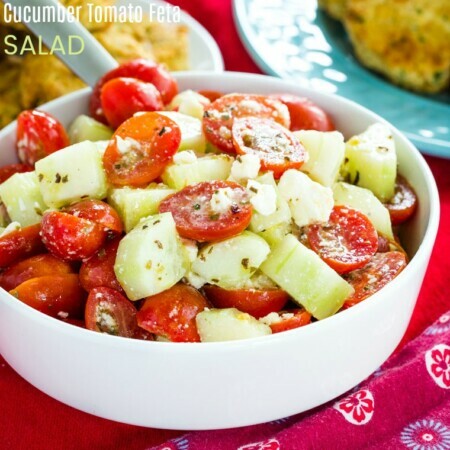 Just add some fruit and toast or an English muffin, and you are good to go. I don’t know who started the trend making a scrambled eggs recipe with milk, but there is no reason for it! Actually, any liquid added to eggs will separate during cooking, which can cause runny scrambled eggs. Try making scrambled eggs without milk and if you want to, test them against your scrambled eggs recipe that uses milk. I honestly think this is the best scrambled eggs recipe I’ve ever made. I’ll never add liquid to scrambled eggs again. And now, with inspiration from Katie, I have a much easier way to make fluffy scrambled eggs without milk! 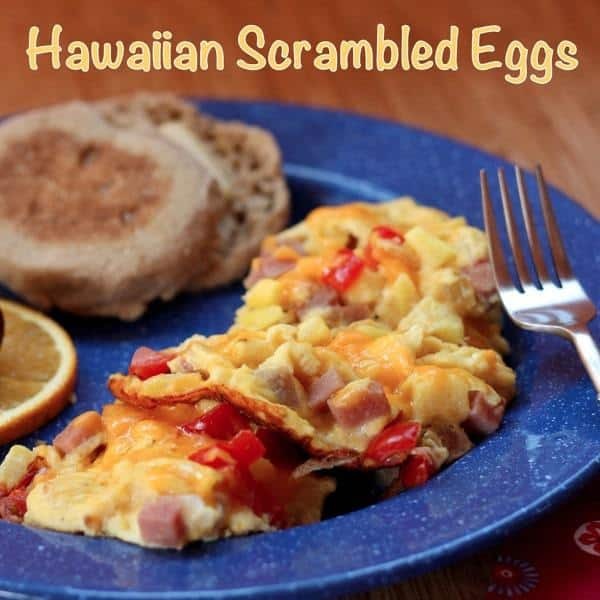 So as crazy as this sounds, please try this Hawaiian Scrambled Eggs recipe. I hope you will be as pleasantly surprised as I was. 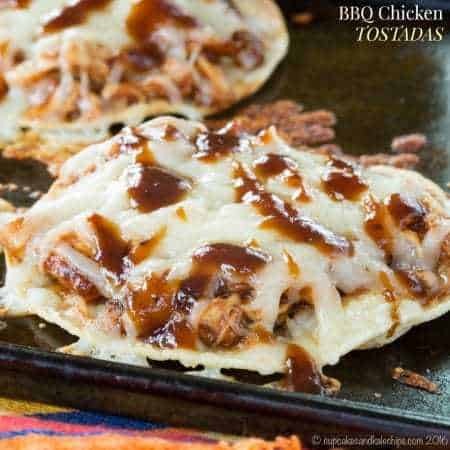 Katie also offers more great suggestions for Easy Back to School Recipes to cook with the kids on her blog post, Gearing Up For Back-to-School. 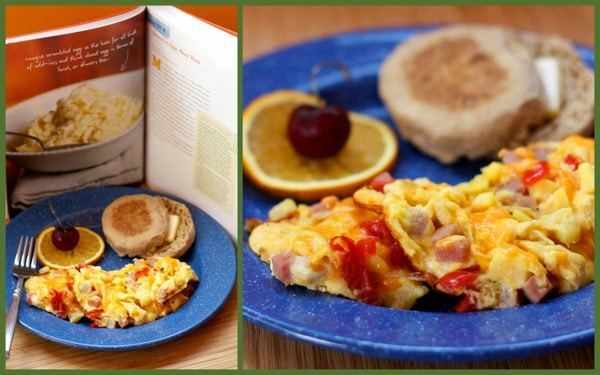 And make sure you check out all of the awesome recipes inspired by her book below the Hawaiian Scrambled Eggs recipe, at the bottom of this post. 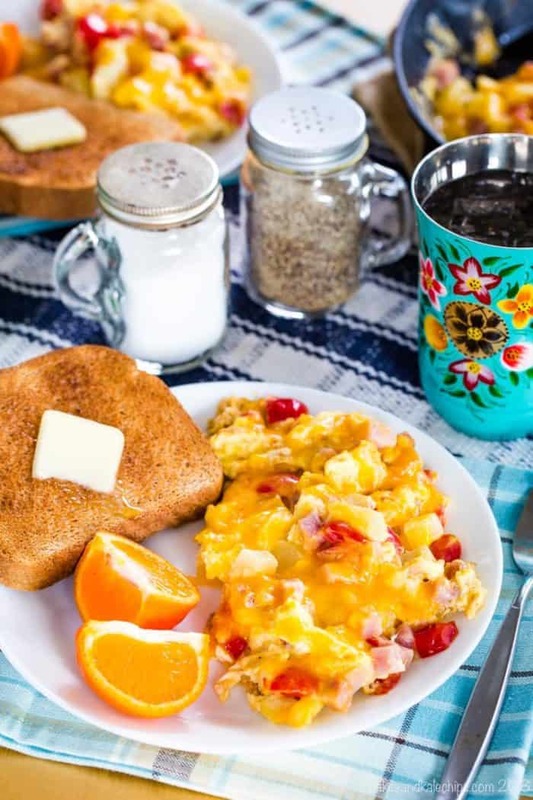 These cheesy eggs with ham, tomatoes, and pineapple may sound like a crazy combination. But you are sure to love this rich and savory dish with just the perfect hint of sweetness. It makes a great breakfast or brunch, but we love it as breakfast for dinner. Once you try it, you’ll be a believer! 3/4 cup diced ham about 4 oz. Crack the eggs into a bowl, season to taste with salt and pepper, and blend well with a fork or a whisk. Whisk in the ham, pineapple, and tomatoes. Spray a medium skillet with olive oil or nonstick cooking spray. Pour in the egg mixture and allow to cook until the bottom starts to set slightly, about 1 minute. Using a spatula or wooden spoon, keep scraping the bottom of the skillet, pausing for 20 seconds or so after every few pushes to let the eggs set again. Break apart any large pieces and keep moving the eggs around so that the runny parts hit the skillet. Just before the eggs are done to your liking, sprinkle the cheese over the top, and cover with a lid until the cheese melts, and the eggs finish cooking. Remove from the heat, scoop onto plates, and season with more salt and pepper, if desired. 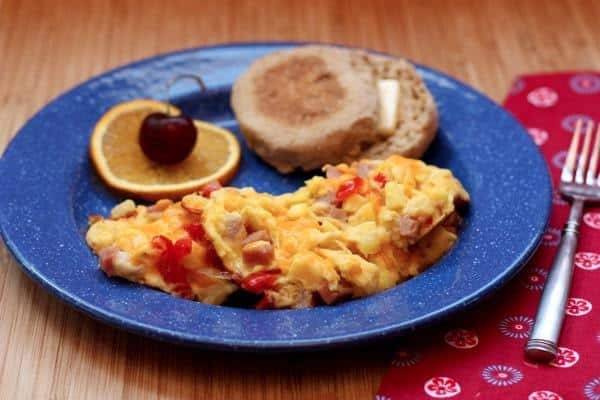 This scrambled eggs recipe post was originally published on August 12, 2012. The images and content have since been updated. Sorry for the super-late reply. Blog went on hold unexpectedly for awhile! Oooh, would be good as a wrap! I love your blog and you are one of my best friends. I have nominated you for the Sunshine Award and the Beautiful Blogger Award! Sorry for the super-late reply. Blog went on hold unexpectedly for awhile! Funny, but I only eat eggs for lunch or dinner, rarely breakfast. But no reason this can’t be breakfast. I love fruit with meats and in salads…so why NOT in a scramble? Sounds good to me! I love to make breakfast-for-dinner, especially in fall. I’ll have to give this combo a try when it cools off here in Texas! I love ham and pineapple pizza! Pineapple does sound weird in eggs but like you said, it’s pretty much the same concept. 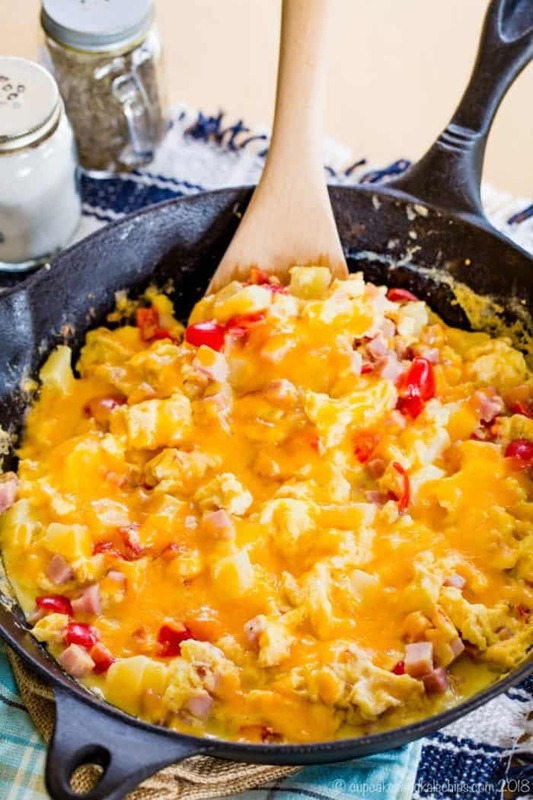 What a great idea for scrambled eggs! Love the Hawaiian ingredients as part of breakfast! Yum! I love eggs for dinner too! 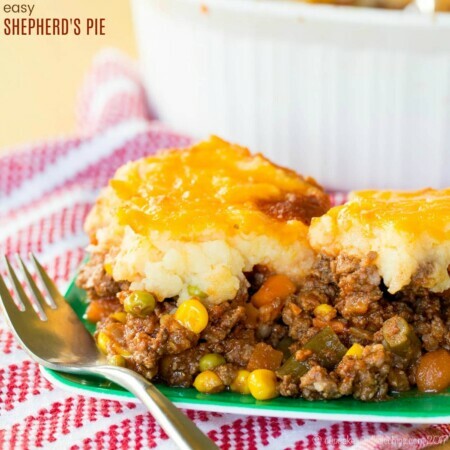 Thank you for sharing yumminess for #SundaySupper! Aren’t you clever? Very inspired! I love love love scrambled eggs, I also love making them different too, this is a great idea to try! Thanks for sharing for #SS!!! What a great idea Brianne! I do like Hawaiian pizza combo of flavors, so this should be delish! I love breakfast for dinner! These scrambled eggs look delicious. Happy #SundaySupper! I agree with your hubby, this is an interesting combination! And wine being a fruit… lol! I’ll trust you because the eggs look so delicious! YUM! Pineapple in scrambled eggs, what a unique idea! I love pineapple will have to give it a try soon. Yum! These look like the perfect way to start the day. What a unique, and tasty, combination. We love our Hawaiian pizza, so what’s not to love about this? Sounds GREAT to me! I have not heard of pineapple in eggs before. Sounds like it would give a nice balance to the ham in the dish. You can make these eggs for me any day! They look amazing!